The CVLT®–C measures multi-trial learning and long-term recall abilities for verbal information. It applies the process approach to capture information about rate of learning, short- and long-term retention and retrieval, recall errors, interference effects, ability to utilise cues to improve recall, and learning strategy. 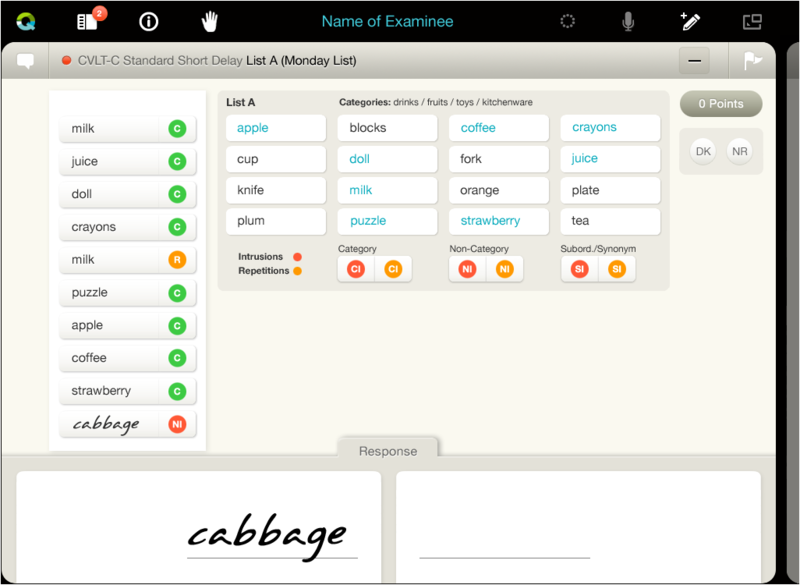 The CVLT–C consists of five learning trials of 15 words which can be organised into three semantic categories. Additional trials include an interference list, short delay free- and cued-recall, and long delay free- and cued-recall and recognition. The CVLT–C helps identify deficient learning strategies and develop appropriate remediation programs. The Standard Form can be administered in 20 minutes, plus a 20 minute delay. 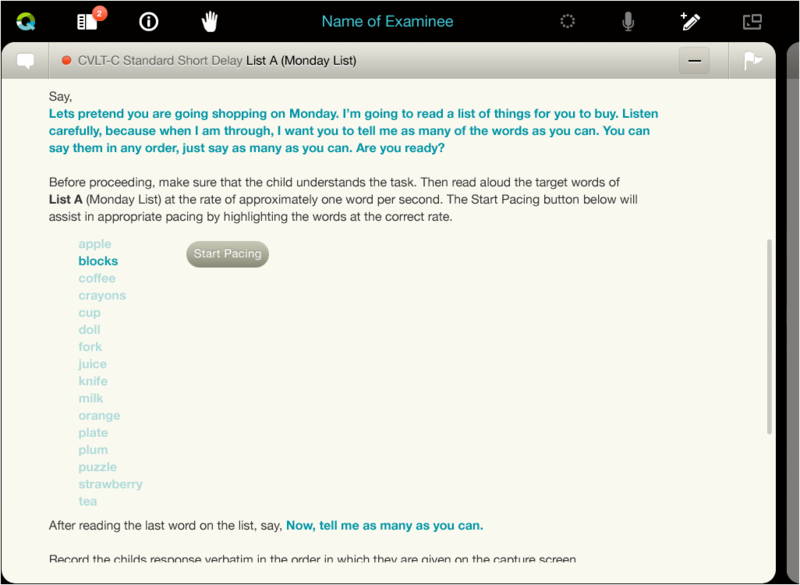 By tapping on Start Pacing, the list of words is highlighted every second. Automatic categorisation of handwritten client responses not included in word list.